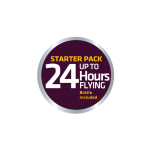 No problem, as our packs give you the flexibility to pick and choose what's right for your itinerary because the number of hours you are in the air is matched by the hours on the front of the packs. For flights from 1-5 Hours. Flights from 6 - 12 Hours. Flights from 13 - 24 Hours. Our Grab & Go, all in one Starter Packs contain everything you need to head for the sky. 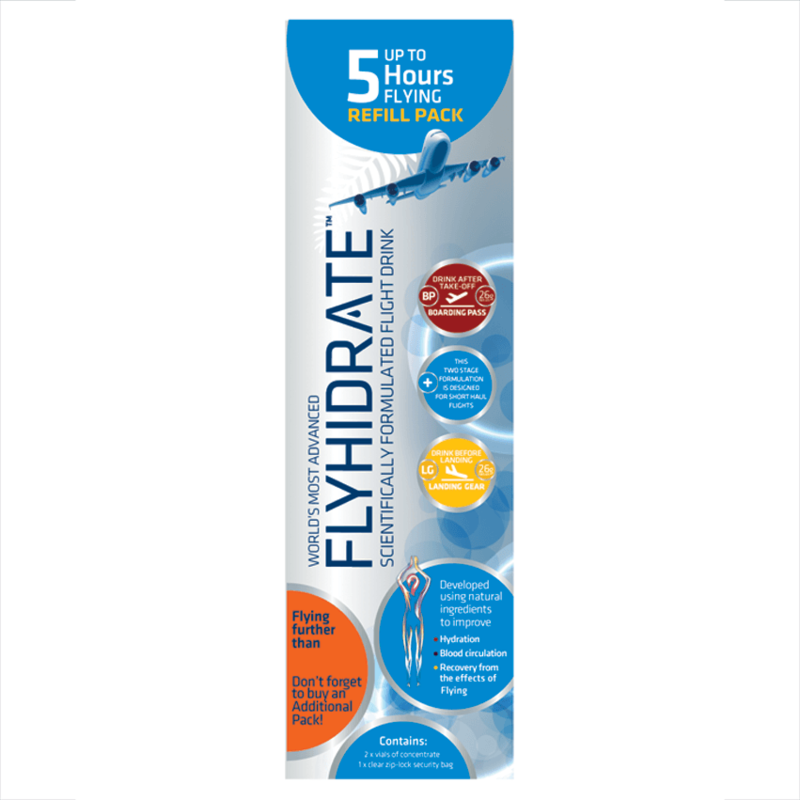 Perfect for the first time user, these packs are not only convenient but ensure you have everything you need to fight the effects of JET LAG. Each pack contains: 1x clear security zip-lock bag to place the vials into. 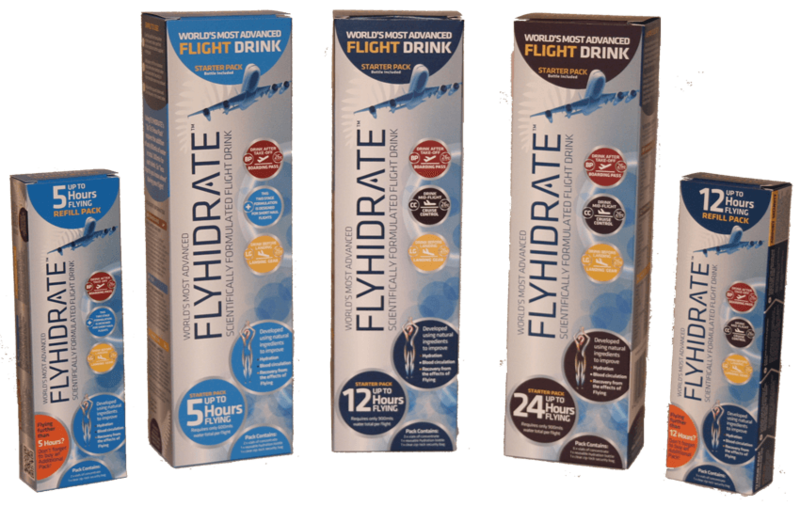 Concentrate vials, instruction card & 1x 300ml Hydration Bottle for you to use on the flight. 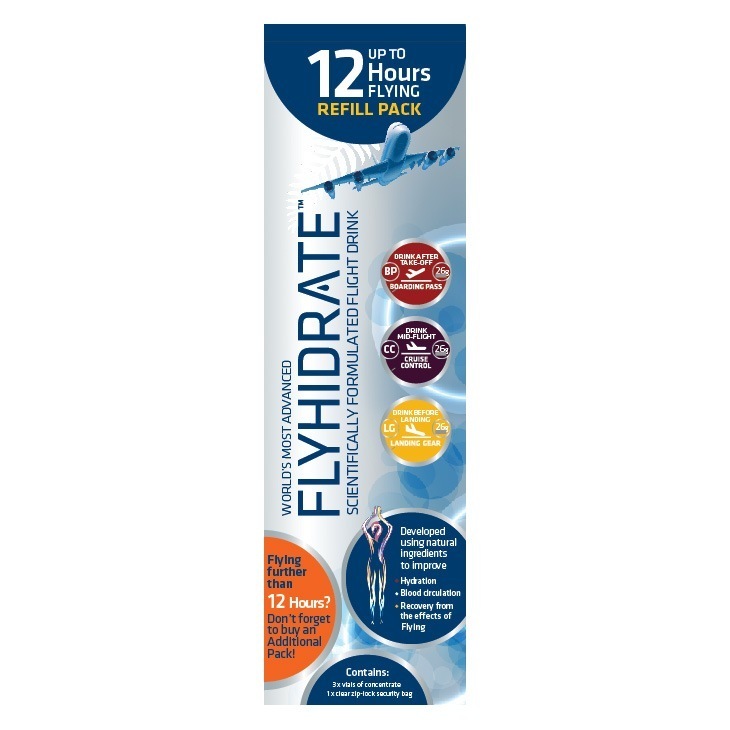 Once you land at your final destination, just rinse out the bottle, dry it and pack it ready for your return flight home using the refill pack. It's that simple! Contains 2 Concentrate Vials only. Contains 3 Concentrate Vials only. Note: Purchase two packs for a 24 hour Journey. Our Refill Packs are Designed for Real Convenience! Should you have your own 300ml+ Bottle or have one of our specially designed hydration bottles, these convenient refill packs are your ideal travel companion. 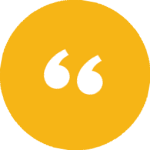 Not only do they pack easily into your check-in luggage taking up no room at all, they are also handy to keep in your carry on luggage with a clear zip-lock bag holding up to 6x vials, to enable you to easily to breeze through airport security.
" 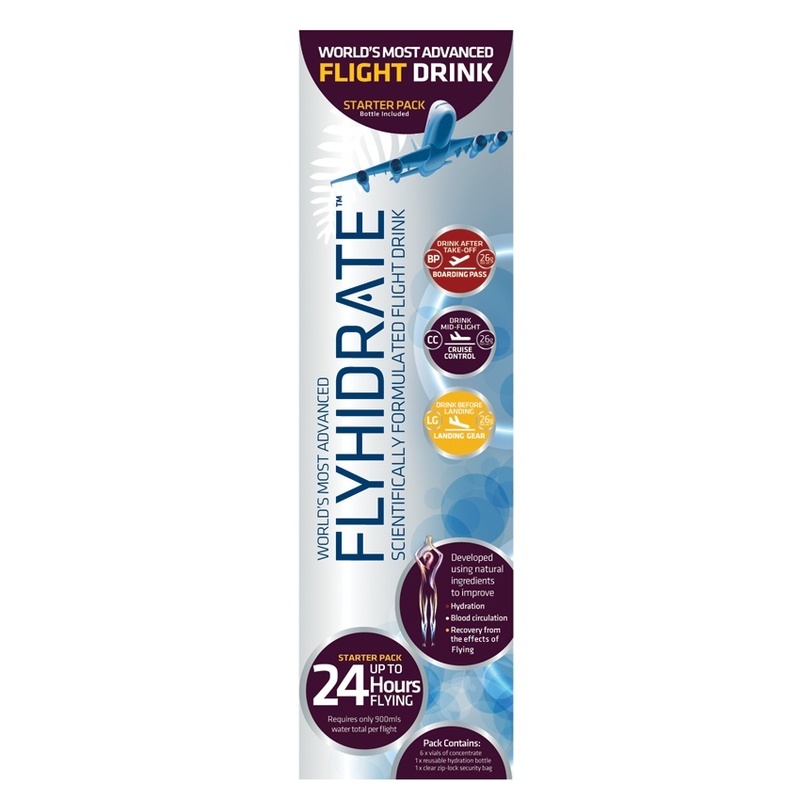 I used the Flyhidrate on all four legs of my flight and found it worked really well. I would certainly be keen to use it again on any longer international trips. 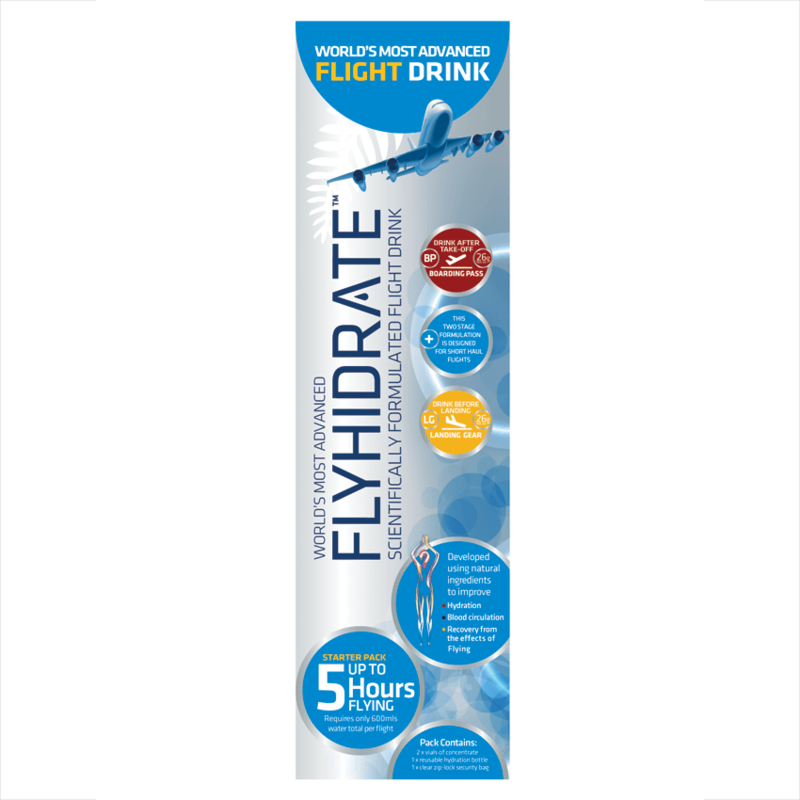 The severe dehydration effects I used to have after long flights were hardly noticeable and I certainly felt less jet lagged. " " Awesome Product - on my last trip, I tried FLYHIDRATE and the results were tremendous. I arrived in the USA refreshed and had no jet lag throughout the whole week while I was there. Looking forward to it being available in other international airports to assist with the trip home. This product is taking air travel to a new level. Thank you. "